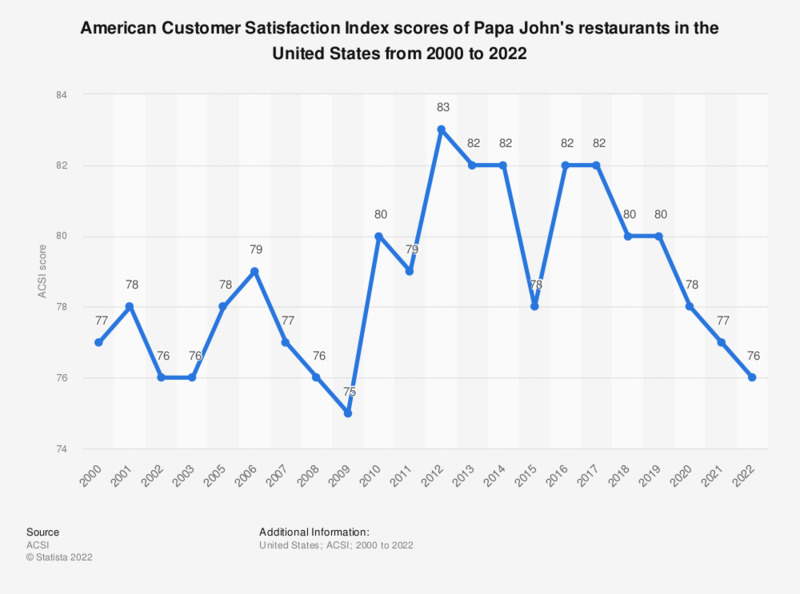 This statistic shows the American customer satisfaction index scores of Papa John's restaurants in the United States from 2000 to 2018. Papa John's had an ACSI score of 80 in 2018. The limited-service restaurant industry was not measured in 2004.